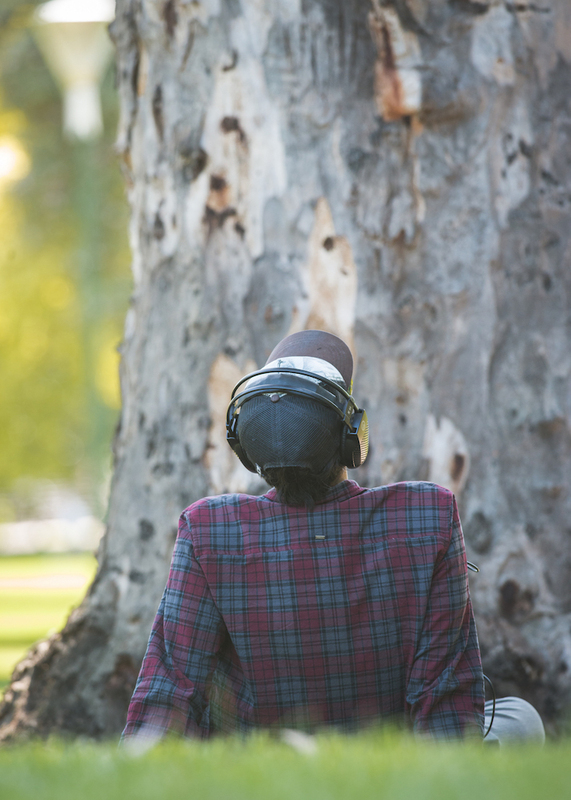 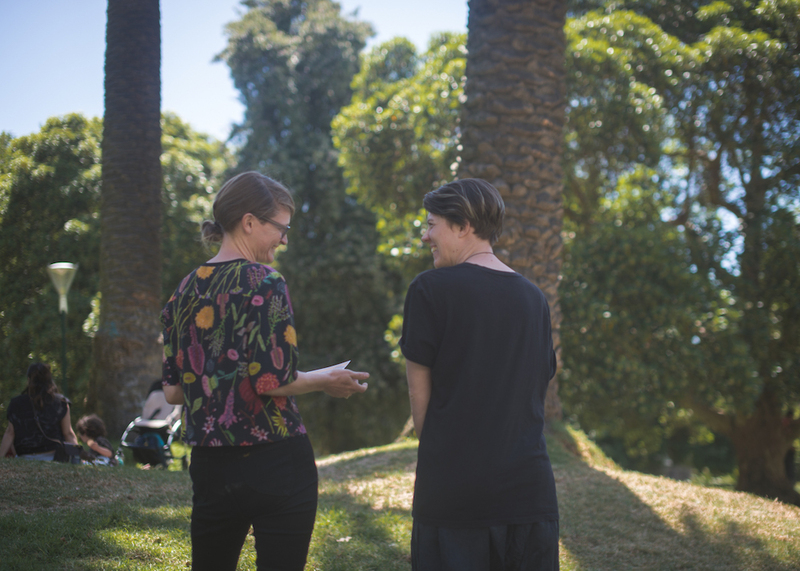 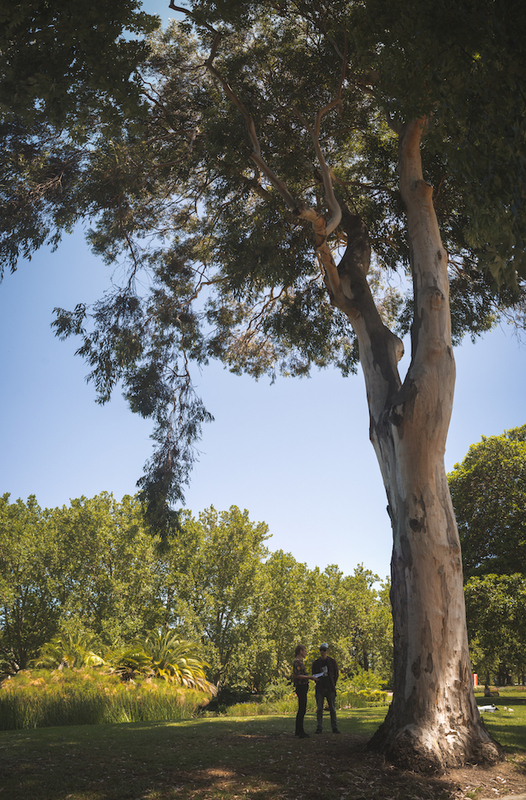 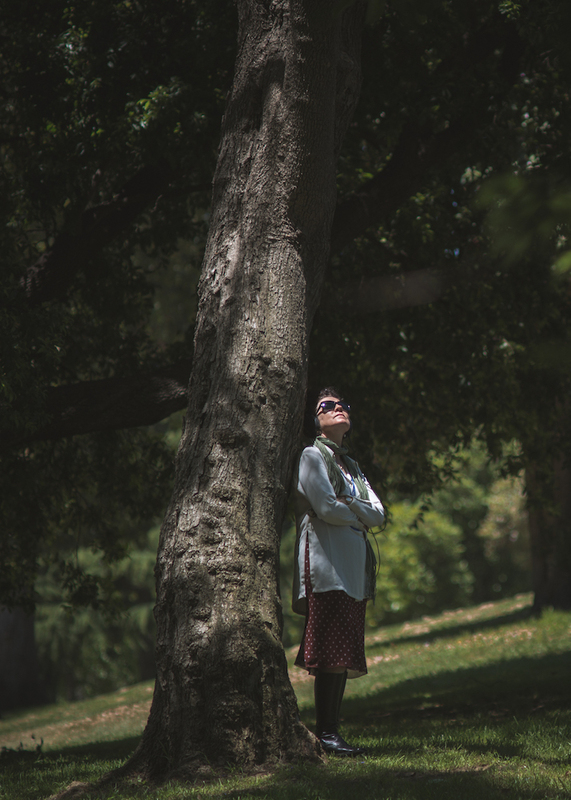 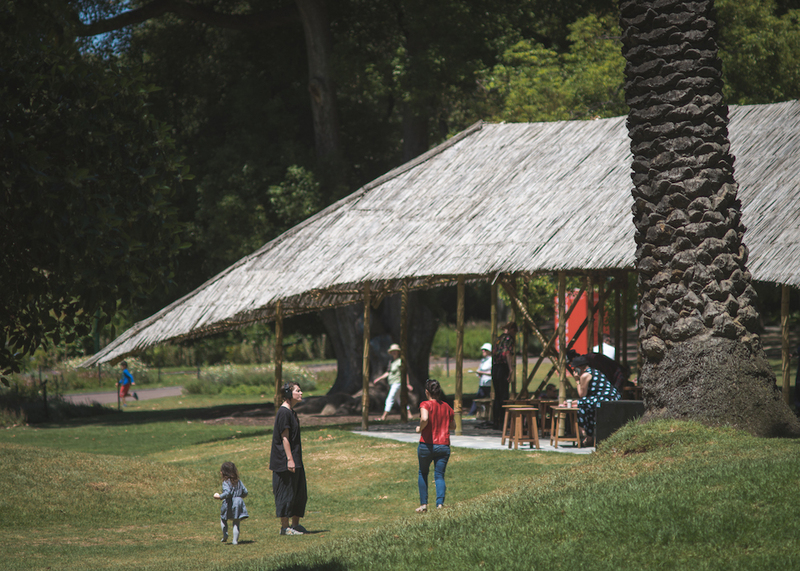 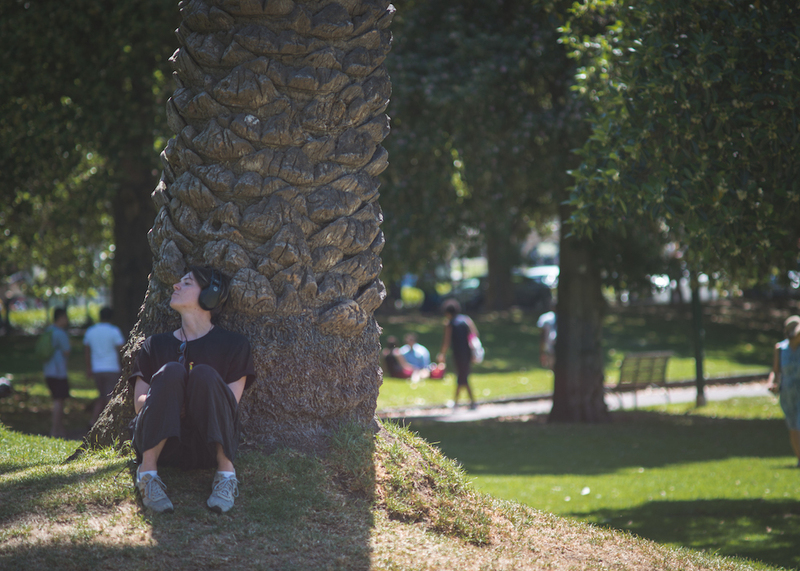 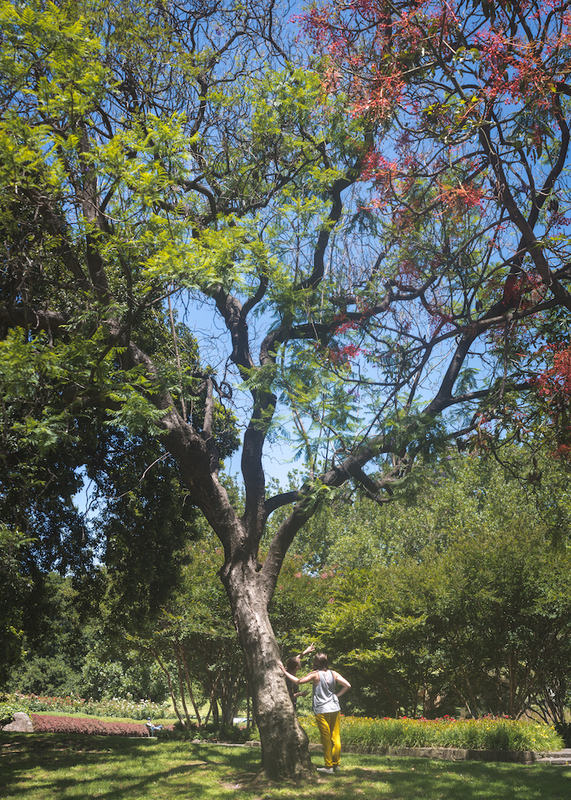 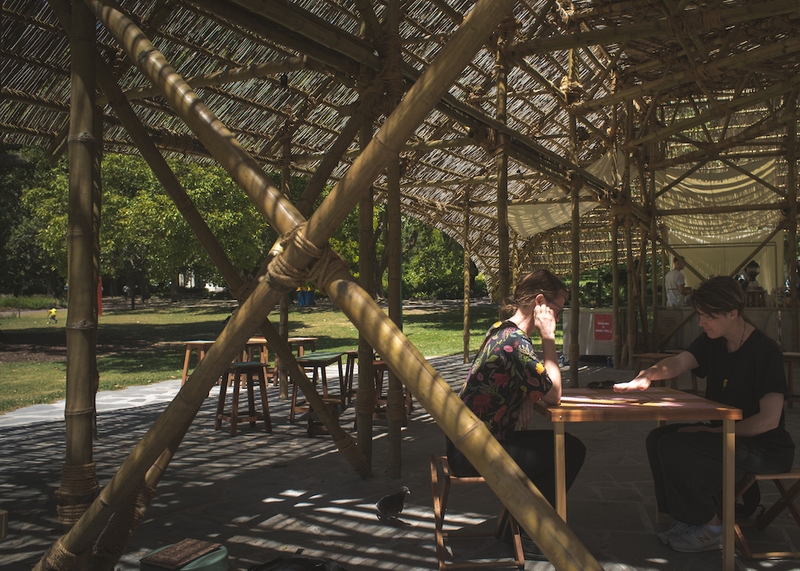 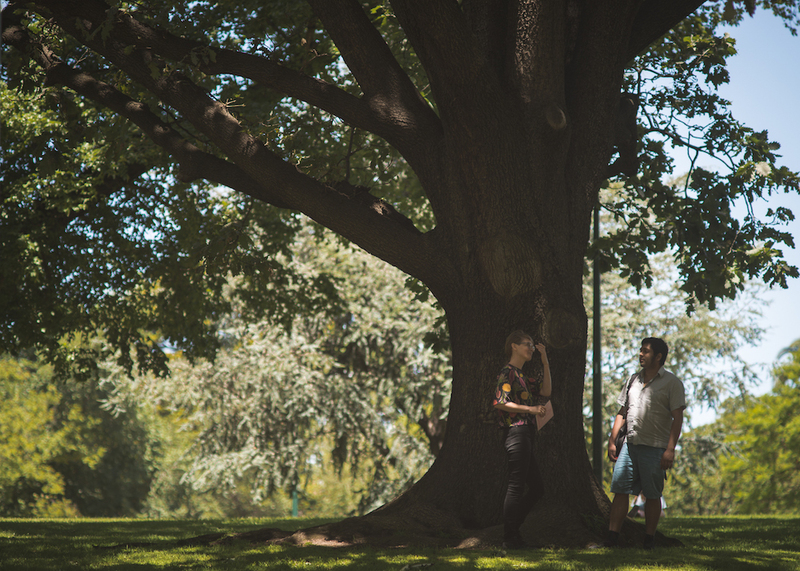 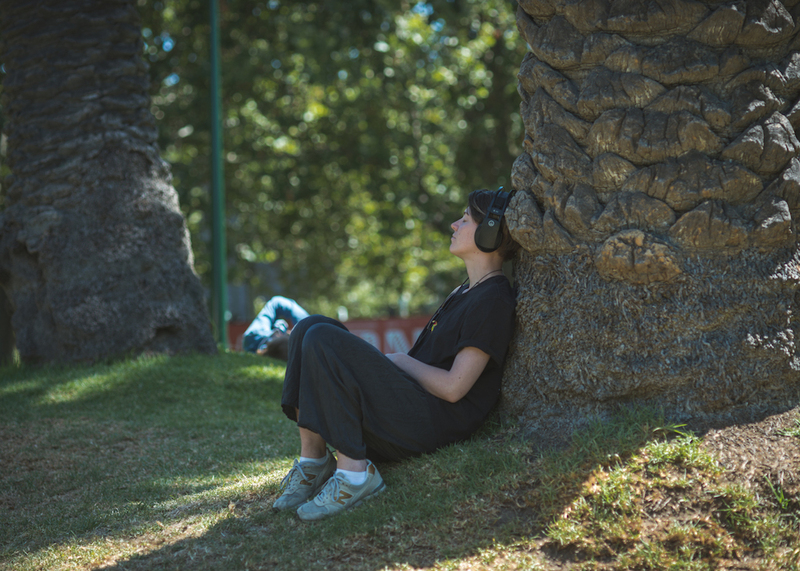 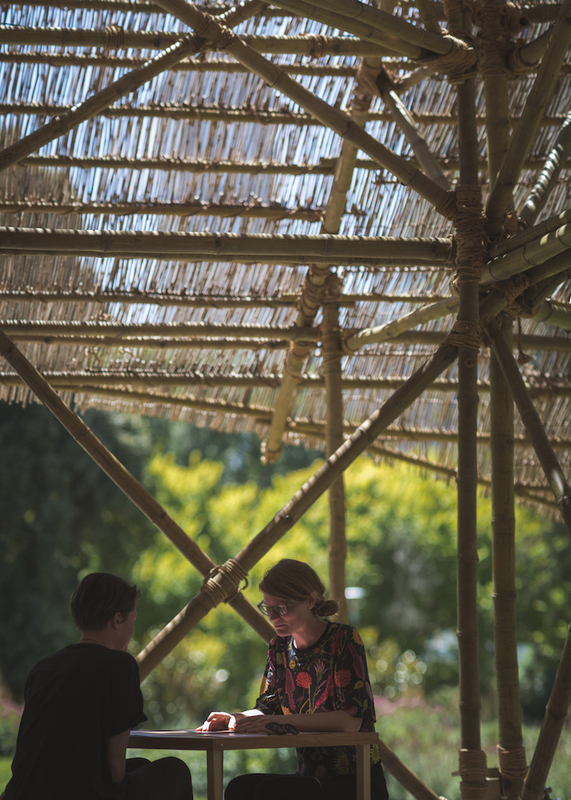 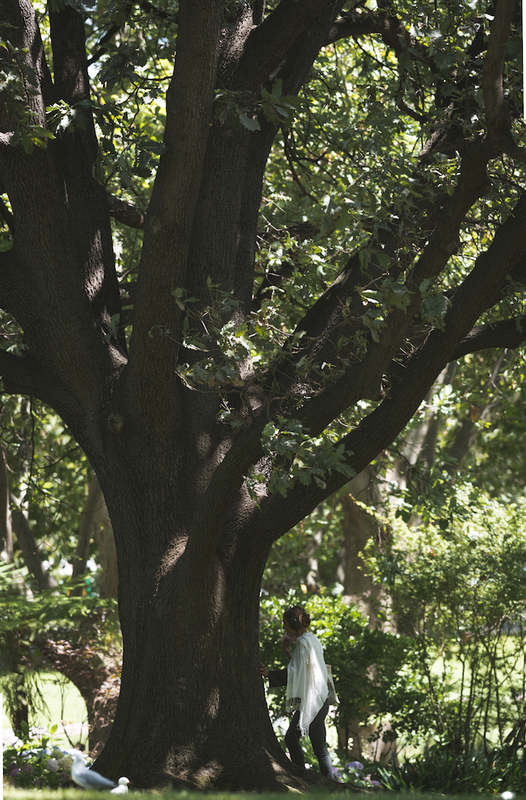 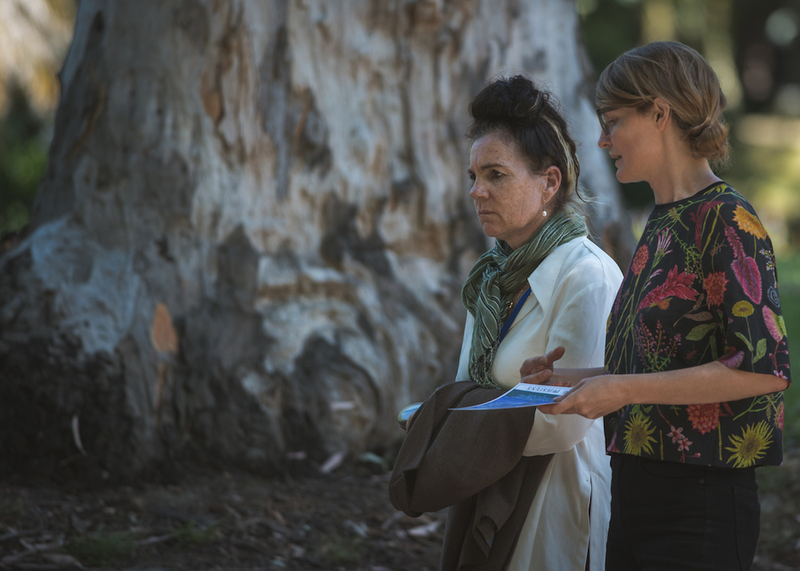 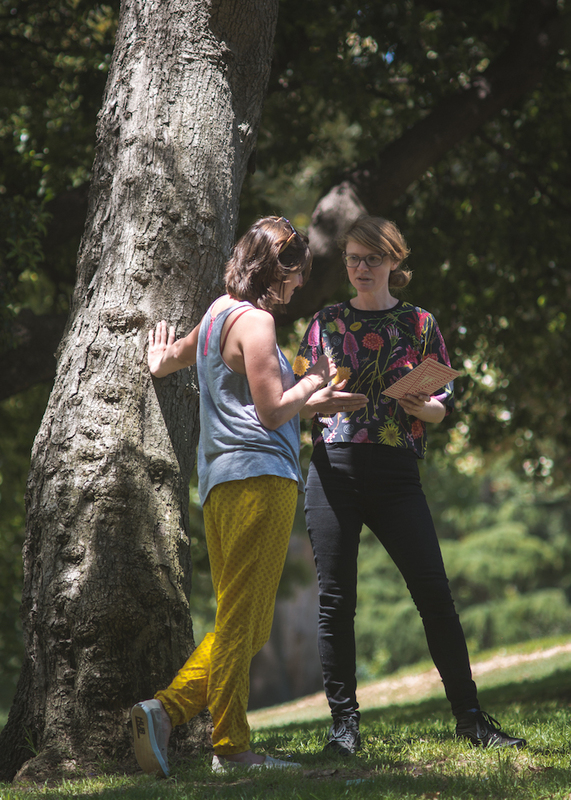 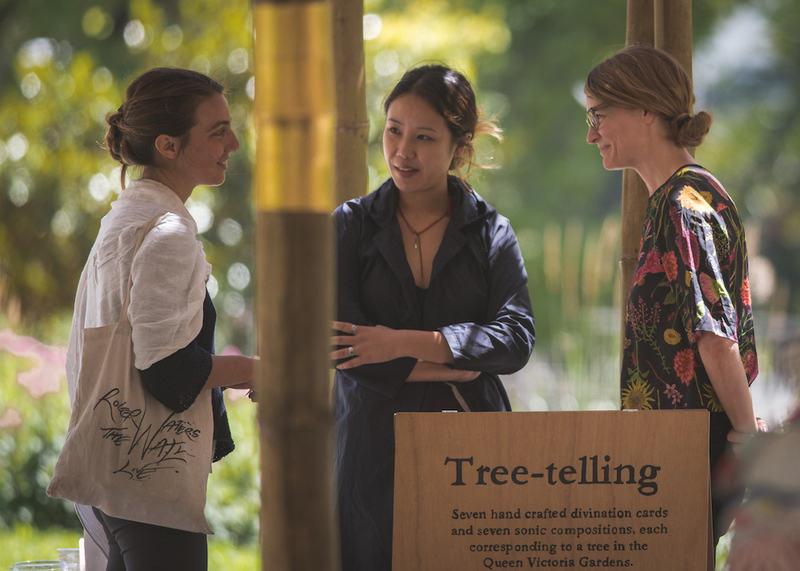 Brisbane-based artist Caitlin Franzmann’s Tree-telling returns to MPavilion in 2017 adding a new divination card and sonic composition to the pack, bringing the deck to the magical number 7. 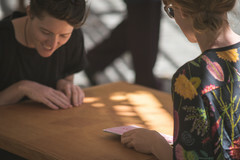 In Tree-telling, Franzmann deploys hand-crafted divination cards as the trigger for experimental one-on-one encounters between the artist and individual participants. 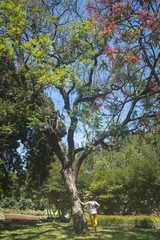 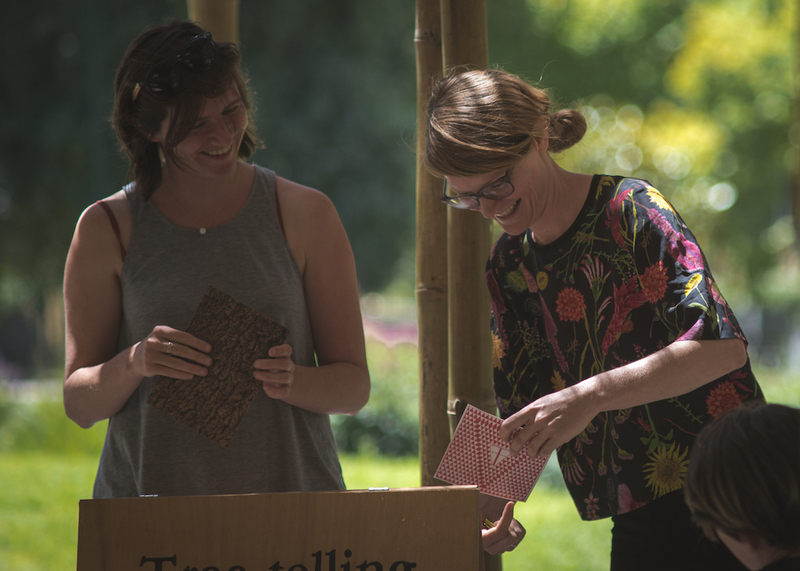 The seven cards are paired with seven sound compositions, each corresponding to a tree in the Queen Victoria Gardens surrounding the MPavilion: Canary Island Palm, River Red Gum, London Plane, Algerian Oak, Jacaranda, Atlas Cedar and Lilly Pilly. 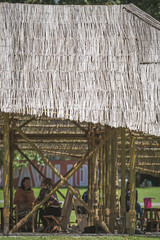 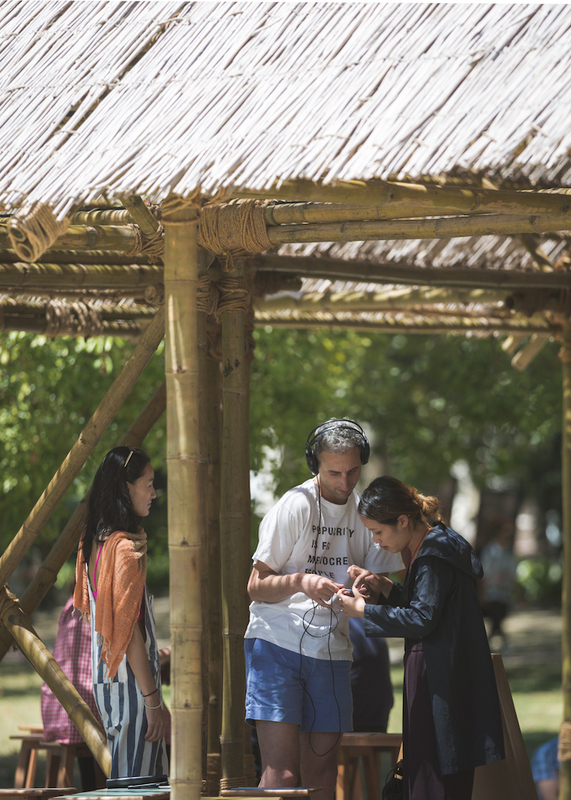 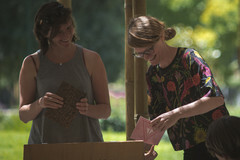 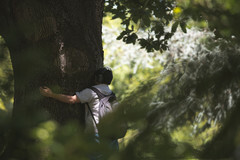 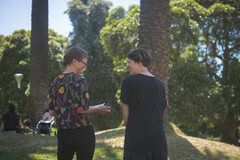 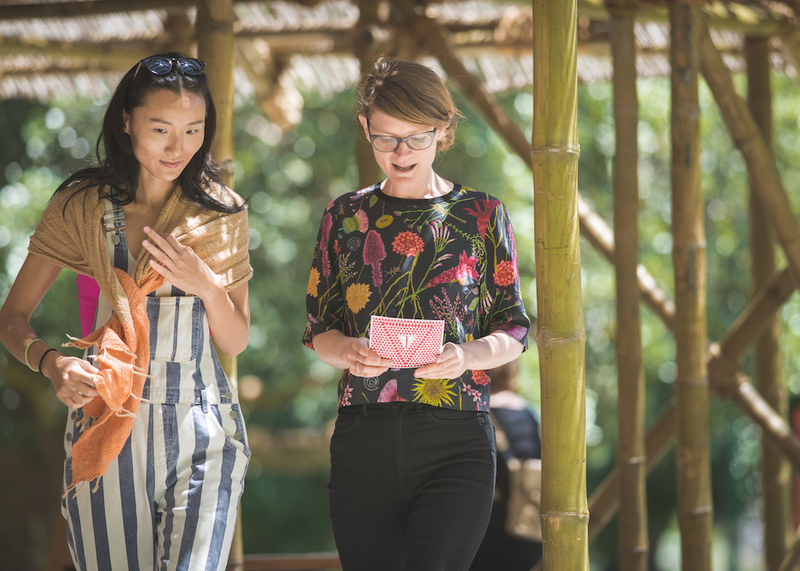 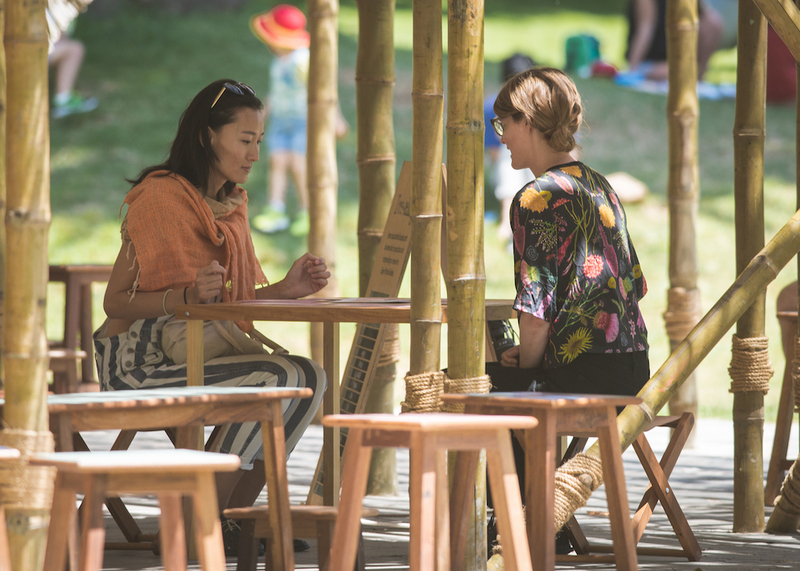 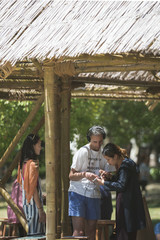 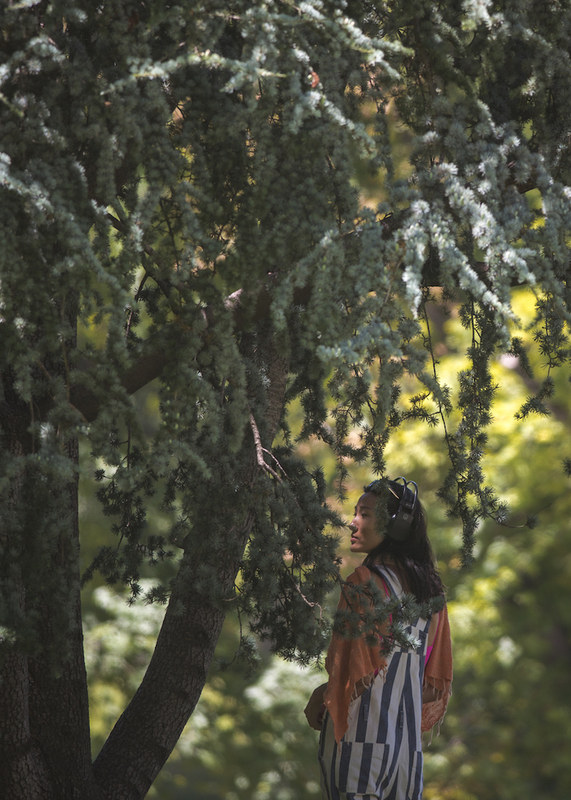 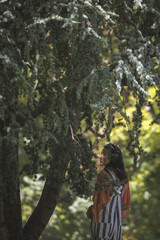 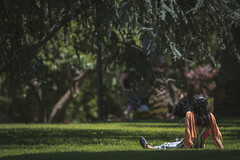 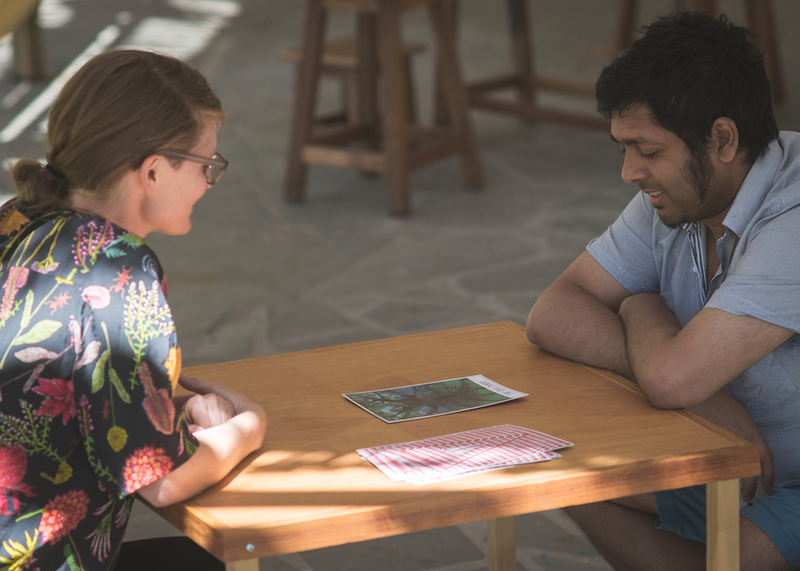 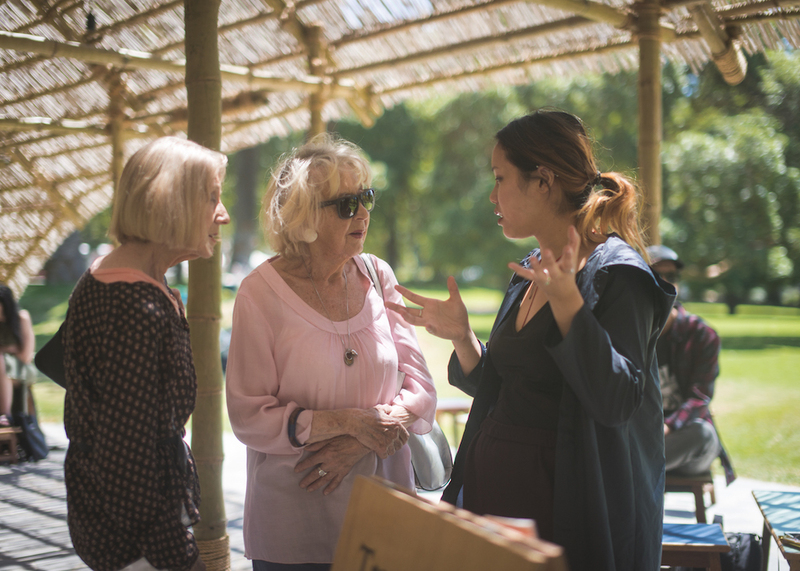 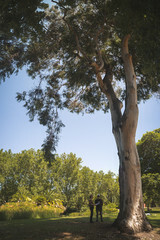 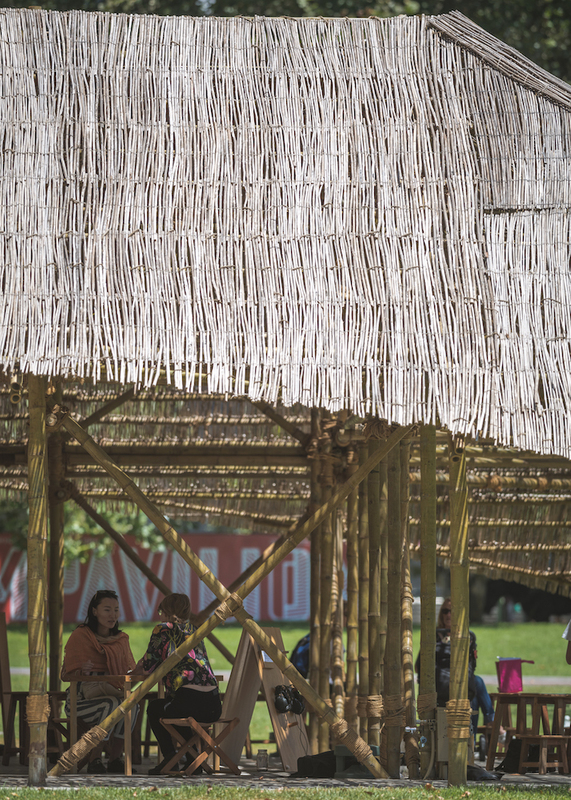 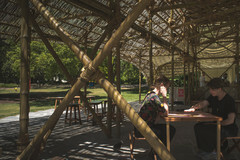 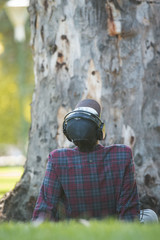 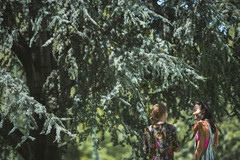 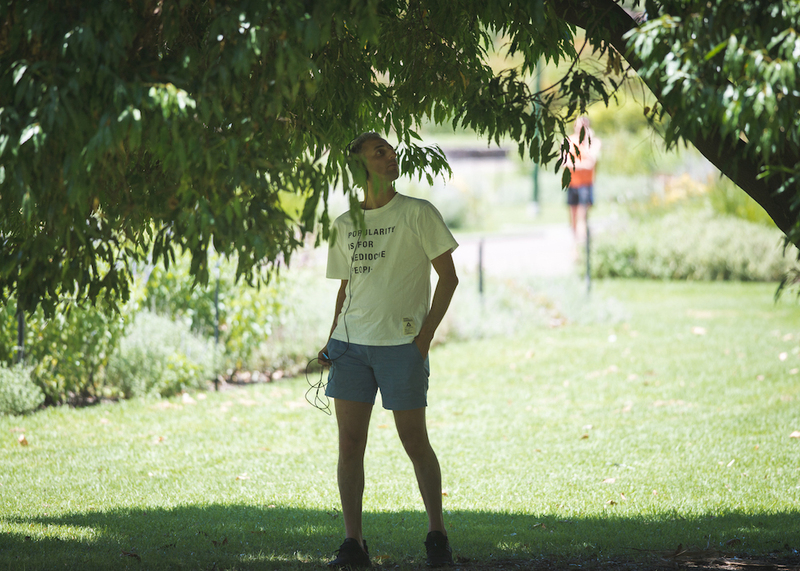 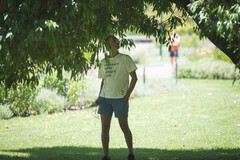 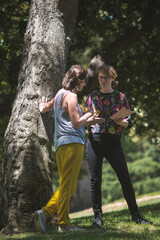 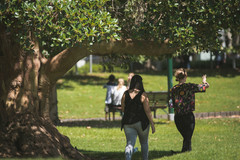 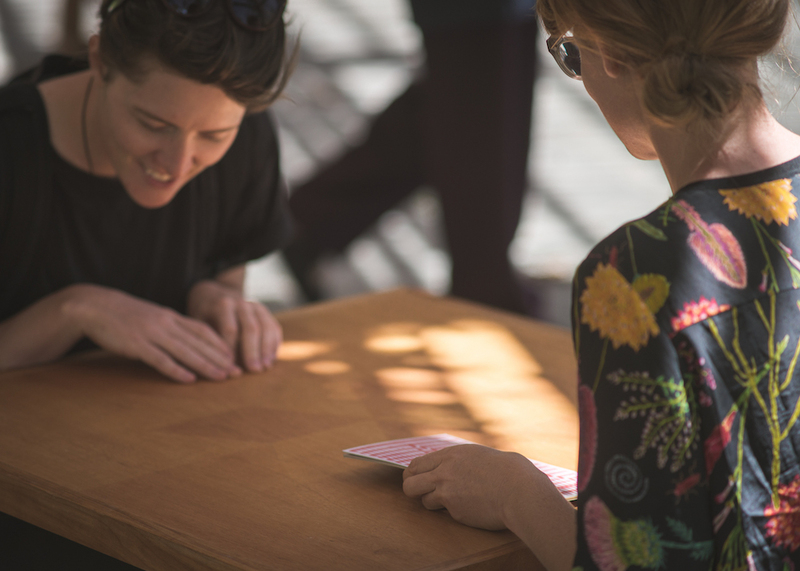 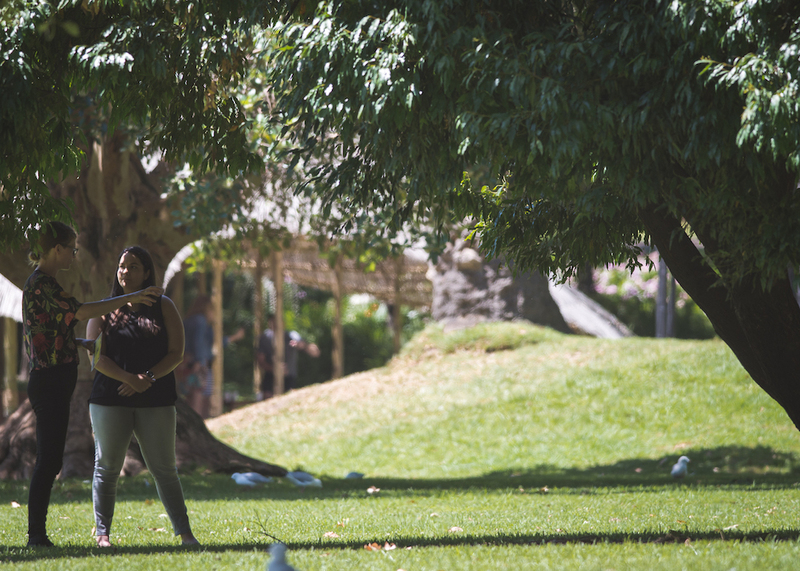 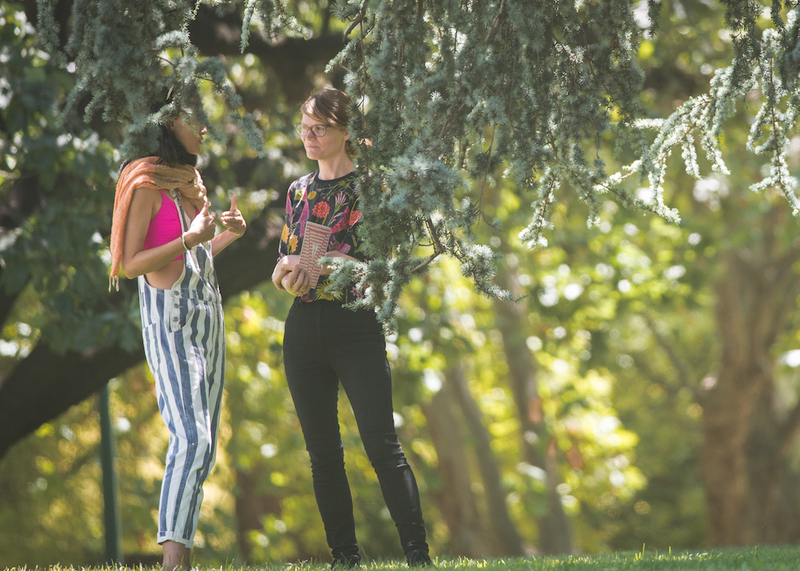 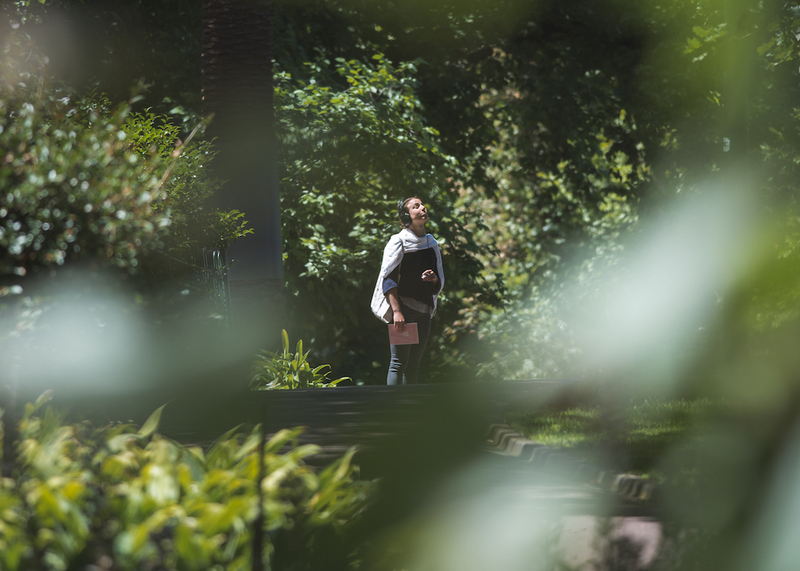 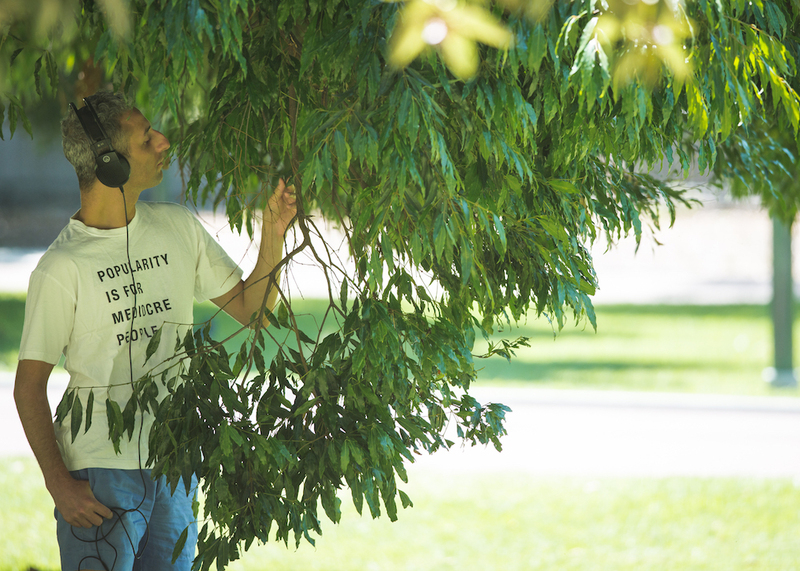 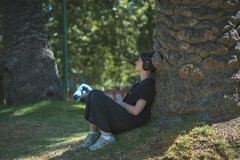 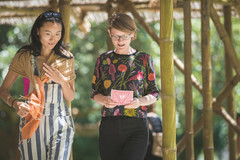 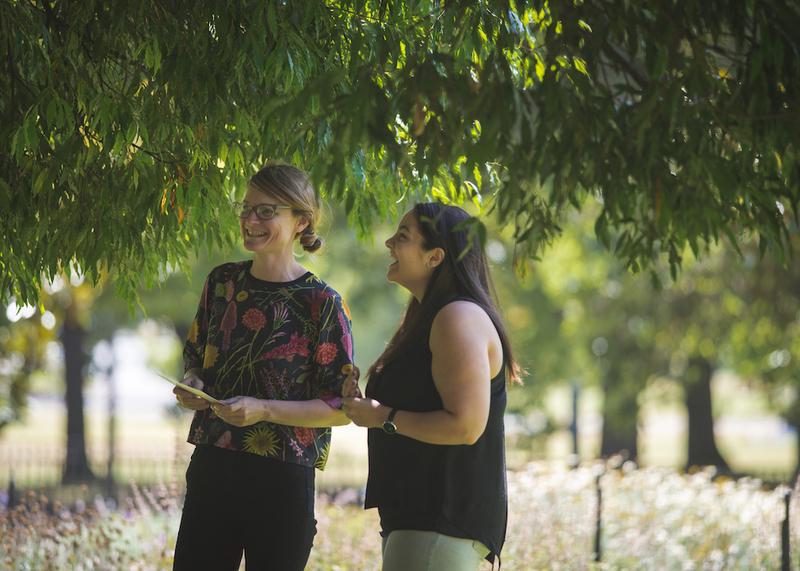 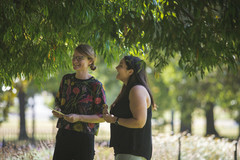 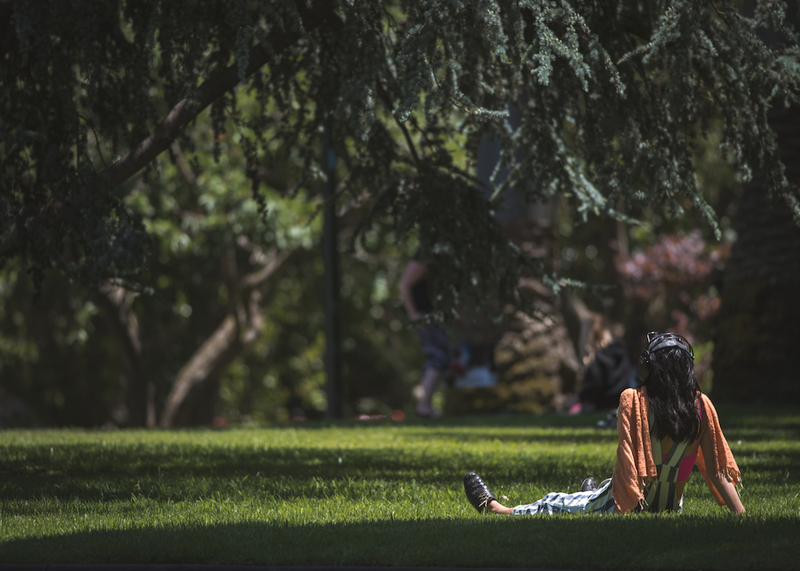 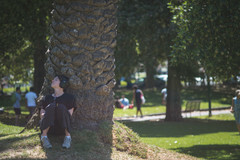 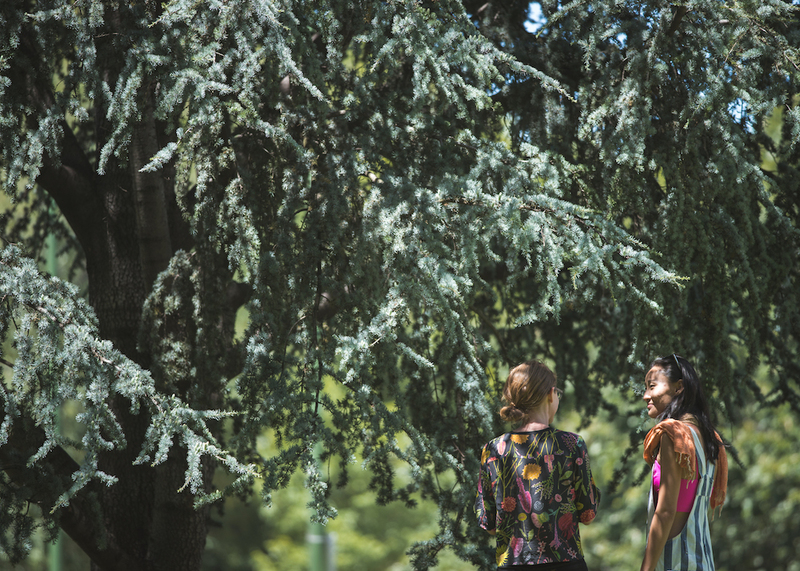 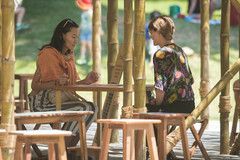 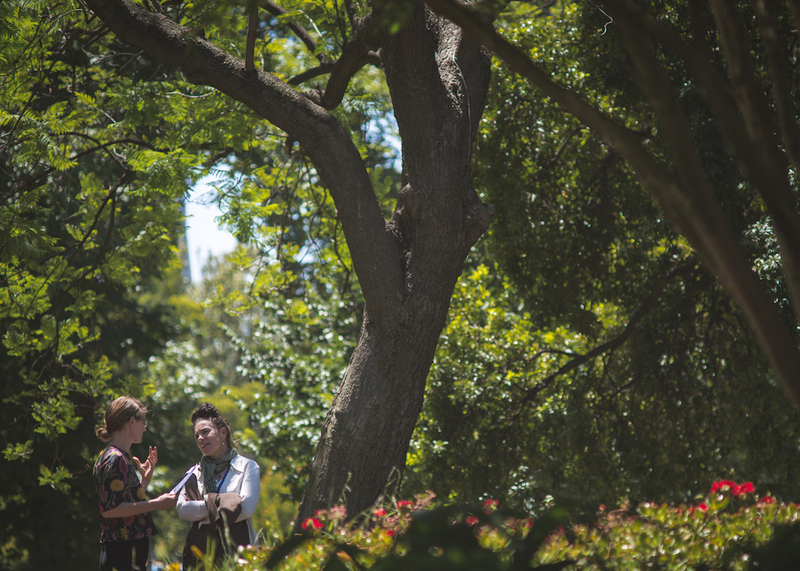 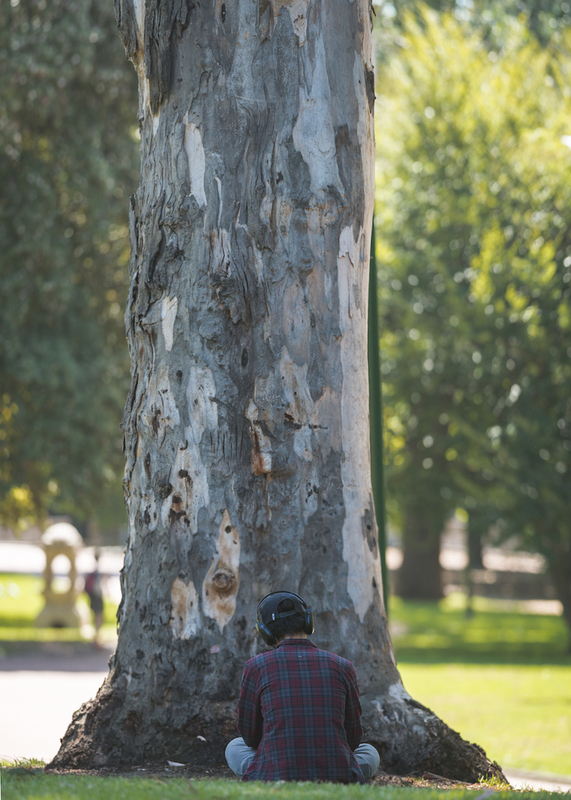 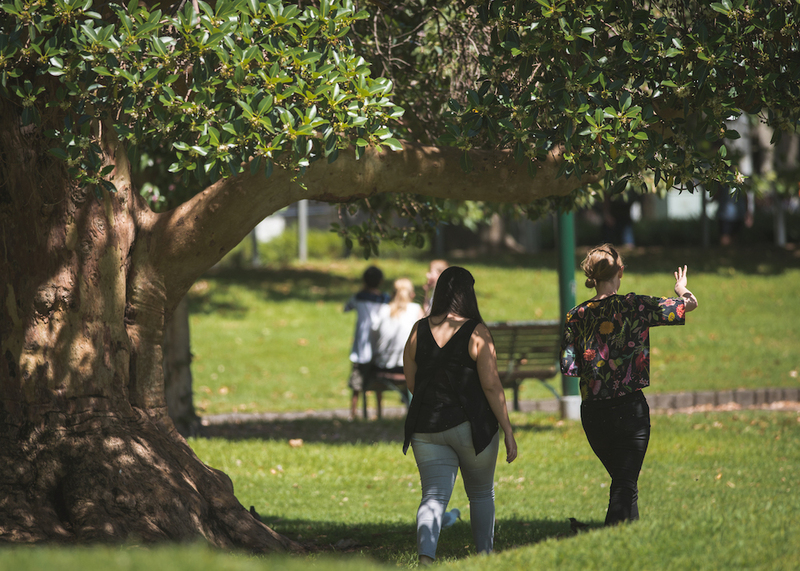 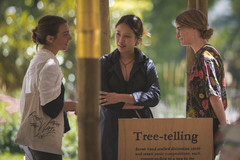 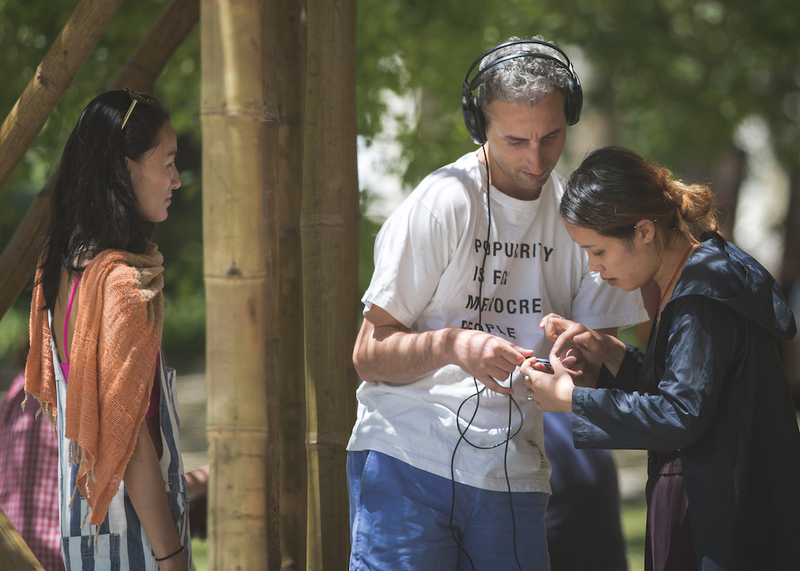 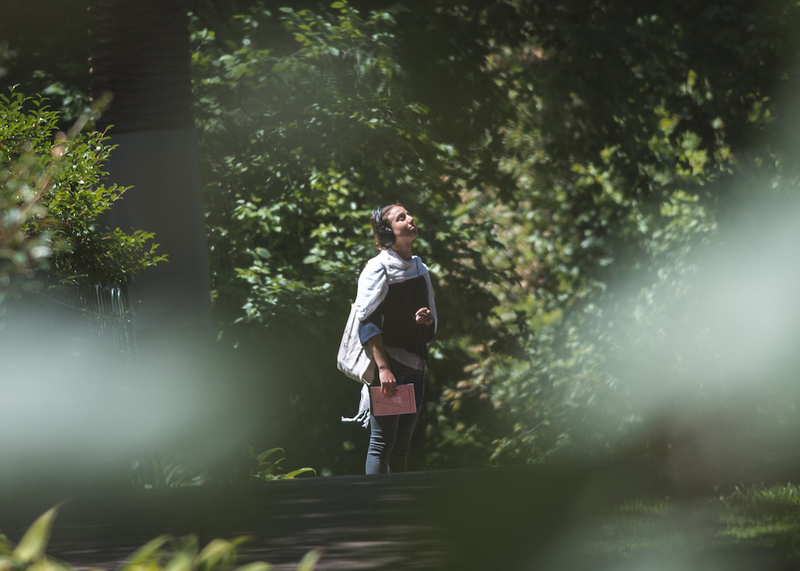 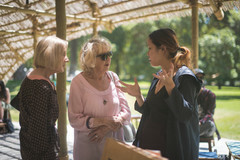 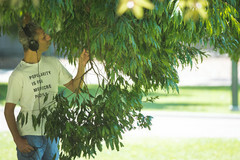 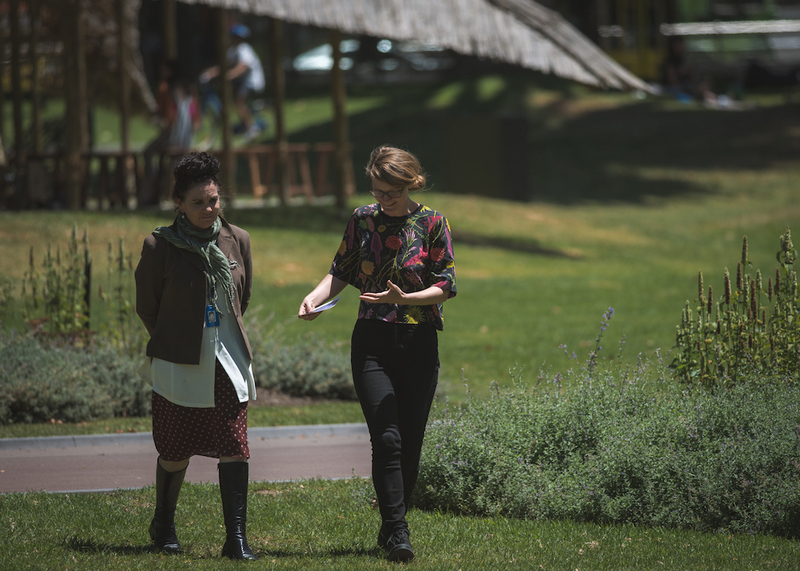 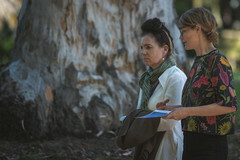 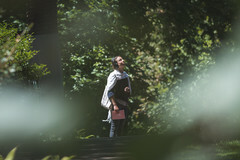 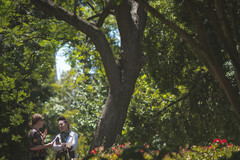 Selecting a card from the deck, visitors embark on a journey that proceeds from Tarot reading, to a shared walk from MPavilion to their chosen tree and back, to experimental listening session.